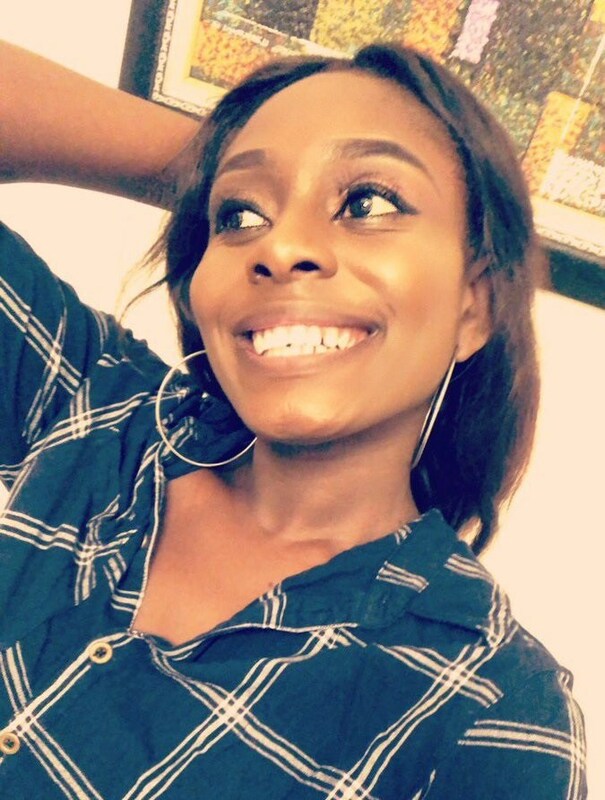 The Nigerian lady pictured above is being praised online as a perfect wife material. 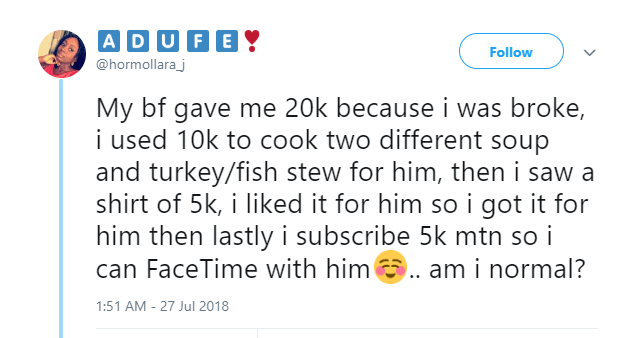 According to the lady, who is known on Twitter as hormollara_j, her boyfriend gave her N20k after she complained that she was broke, but instead, she used 10k out of the money to cook two different soup and stew for him. She also used N5k to buy a nice shirt for him. Lastly, the lady said she spent the remaining 5k to subscribe for data so she could Facetime with her man. Now she’s asking, if she’s normal for doing what she did with the N20k her boyfriend gave her after she complained to him that she was broke. Read her Twitter post below.